Gadgets and Gizmos a plenty! Last week I had a work trip to Ireland, as I travel back and forth so much due to either work or family, I thought this would be a good time to show you all what I bring in my hand luggage to get me through the relatively short flight. I say relatively short because although it’s meant to be a quick hop of a journey, it’s usually delayed! 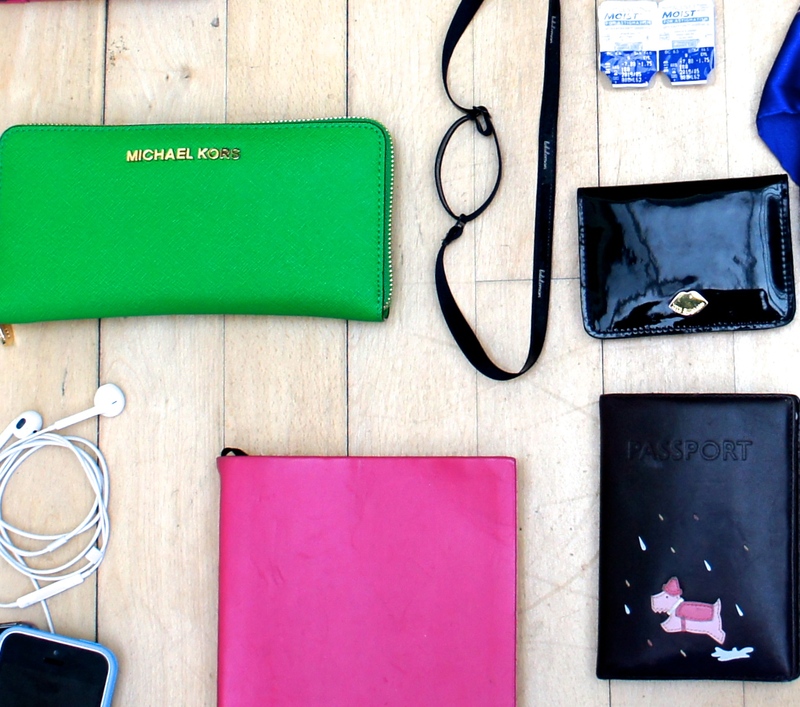 Anyway – here are my must haves when trekking through the travel battlefield! I’m looking at you Spotify! My Michael Kors purse is a must and is amazing, with that massive zip on it, even if I stuff too many receipts in (if….!) it closes up without any stresses. My Oyster card and passport, both very important! Their holders are Lulu Guinness (similar here) and Radley (similar here) respectively. Himself got me the Radley passport cover and it’s stood me in great stead for several years now and I still love it as much as I did the day I got it! The LG Oyster card holder was a Christmas present last year from the Parentals – lucky girl! Flights, no matter how short, will inevitably dry out your skin so to combat this, I always bring my Crème de la Mer Lip Balm as well as a small pot of Crème de la Mer Moisturizing Cream. I have a couple of sample pots from a few years ago and I decant cream from the large one I have on my nightstand into the travel pots – they hold about three days worth of cream. I lather both on before take-off and it sees me through until the end of the flight. These are two of the best beauty buys I own! Just before touch down, I like to do some touch ups (see what I did there?!) so I whack on my adjustable Lululemon headband and put on a bit of lippy, mascara – both MAC and liquid eyeliner (similar here from Benefit) although, to be honest, if it’s a bumpy flight I usually hold off on the eyeliner – I’m not that brave! Air-con on flights really gets to me, so a snuggly warm jumper is a complete must. I try to bring something that’s still going to look well with my outfit so that if I’m a chilly-con-carne when we land I can keep it on without looking weird!! And last, but by no means least – a glossy! Great tips! I was doing exchange last year and was hopping on to planes every week! I definitely need to bring lotion onto planes or else my hair and skin would get so dry. I love your passport holder and that bright green wallet! Thanks so much that’s really kind of you. I got the purse during the Summer, I love it so much – it holds everything!! Great post, I hate traveling when it’s cold, but it’s bearable when you remember all the essentials. Amazing picks for travel, you should check out Truffle Truffle….they have the best clear pouches making getting through airport security a breeze! xo Loving your bloggy!